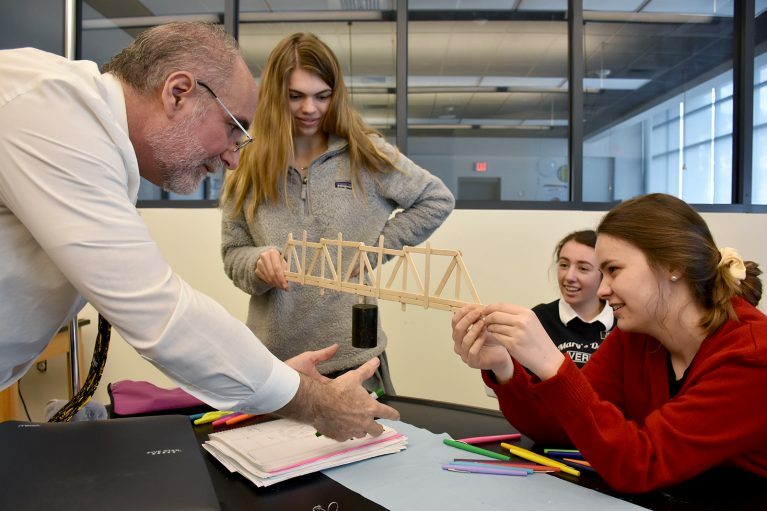 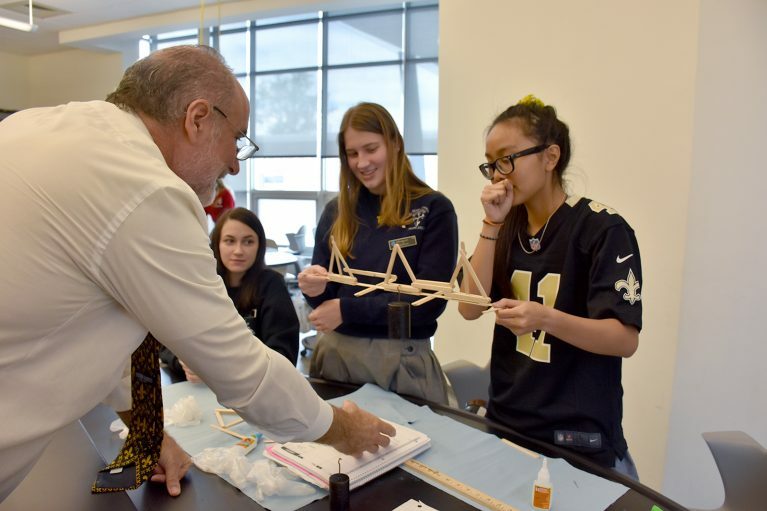 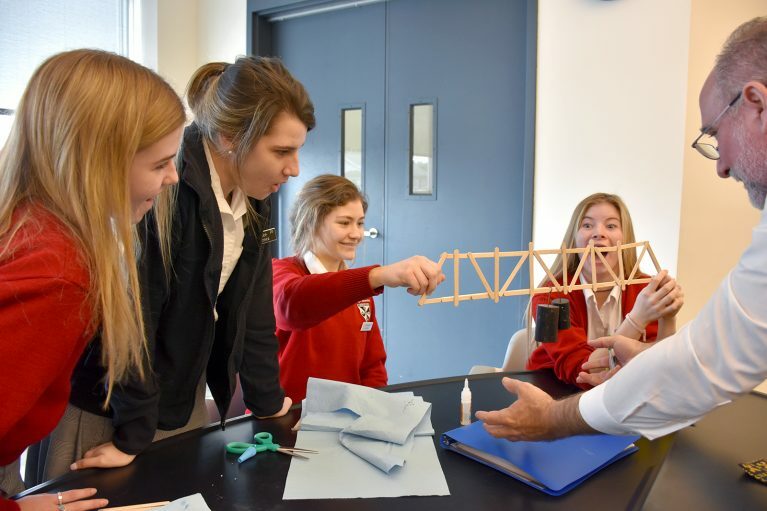 Using glue and Popsicle sticks, Kenny Lannes’ engineering class at St. Mary’s Dominican High School applied their knowledge of the basic physics (shear loads and bending moments) of bridges. 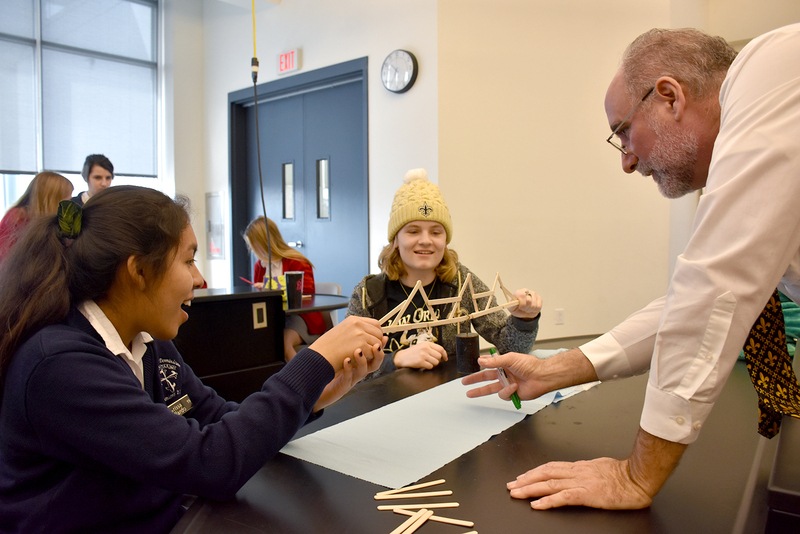 Teams experimented with shapes to determine which ones were the strongest structurally, and collaborated on design and construction. 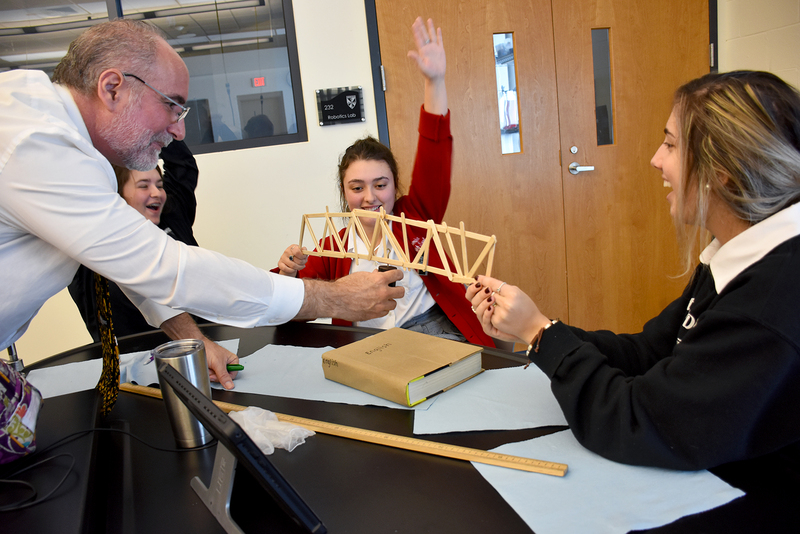 The final test of their completed bridges was the weight-bearing test, starting with a 500-gram weight.